News happens today. Events quickly become history but remain a part of us all. In my career I have covered many great events. Perhaps the most intriguing for me have been reporting those every day encounters involving ordinary people. For at heart, human existence is about how we interact with each other. That is the theme of all my books. My latest book, Frankie, If You Get Hurt, I'll Kill You, is about the same period as the upcoming Soprano's prequel. It describes the same people and events that drove Tony Soprano's doubts about his mob rule. Along the way, it will talks about the nascent days of Tony Soprano and his associates. 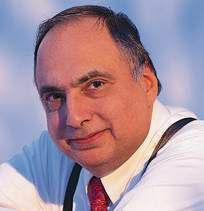 Besides seeking to explain why Tony Soprano was a different gangster, it is also about the inside stories on some of the internal conflicts, betrayals, murders associated with the mob of this period.Being a journalist for more than fifty years gave me, and continues to give me, the opportunity to interact with individuals. Most important, the reader should consider this book as homage to our parents, their generation and their children, and those times. One other aim of this book is to highlight some of the changes in American life as experienced by Italian-Americans and others of our generation. Since the mob occupied a place in this scenario Tony Soprano becomes more real in the context of his contemporaries. The author John O'Hara put it best about journalists. "They see people at the heights, depths of their lives. What a privilege." In the past, I have had the opportunity to be part of historical events, reported them to millions of readers, and enjoyed the perks and arrows associated with reporting. From these experiences, I have created two books. One of fiction based on true events, the other an autobiography detailing my own changing life and that of America in the post World War II decades. Creating, editing, publishing any book takes time, effort, and a certain sense of humbleness. For the two books featured on these pages the process has been particularly long. Happily, this summer should see their publication. 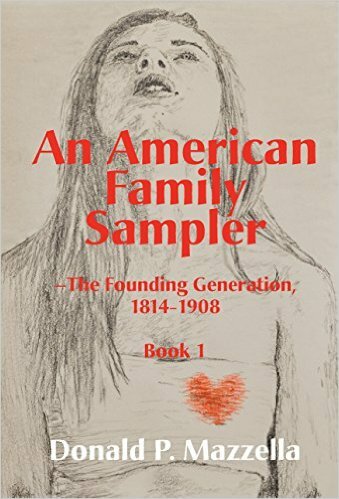 Available now is An American Family Sampler. The first of a finished trilogy, it traces two families, one white, one black through the American centuries. To hear me talk about the book on Jim Lowe's show click here. Shortly to follow is a study of a changing post World War II America through the eyes of Italian-American growing up. Called, Frankie, If You Get Hurt, I’ll Kill You, it is the story of my parents, their families and the people around us.